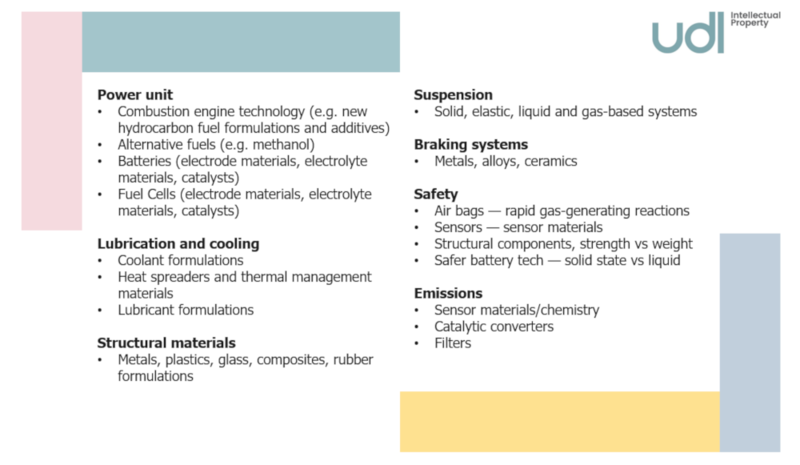 The chemistry and materials of cars — time to reassess your patent strategy? 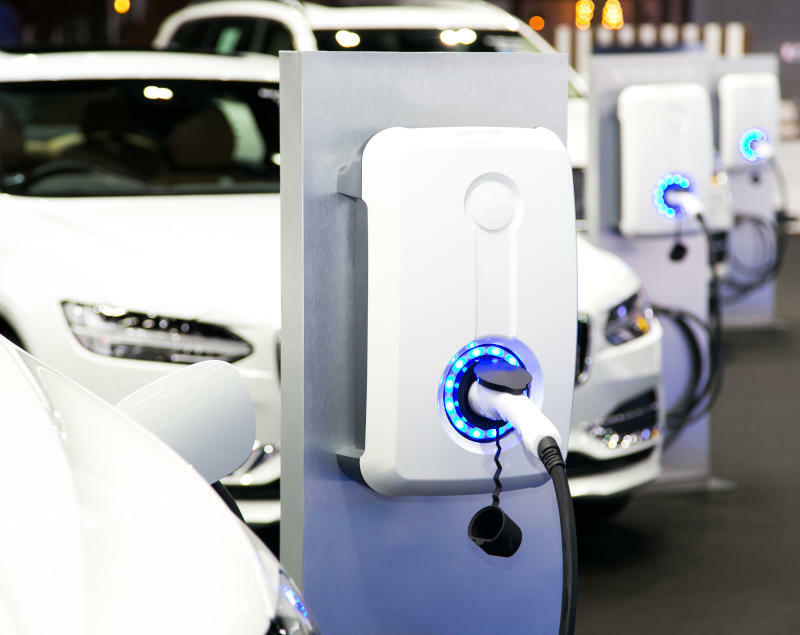 Before electric vehicles are widely adopted, there are certain key issues to address. The most fundamental of these is the need for a breakthrough in battery technology, which I’ve discussed recently. Here, I look beyond the power unit at a range of chemistry and materials technologies in the car. Chemistry and materials science is pervasive throughout a car. In fact, cars exhibit such a broad range of technologies that in 2016 the American Association of Chemistry Teachers, in collaboration with Ford Motor Company, hit on the idea for teaching various chemical principles by way of examples used in the production and operation of cars. For a series called ‘Chemistry of Cars’, teaching resources were developed, “leveraging America’s love affair with cars to teach important chemical principles”. While the chemistry and materials science of cars has proved useful to teach basic, school-level chemical principles, the cutting-edge of current research and technology in the field continues to race forward at pace across all areas of vehicle technology. Furthermore, the commercial landscape is changing rapidly. While traditional technological developments focused on performance improvements such as acceleration, speed, and handling, in recent years the commercial focus has shifted towards improved fuel efficiency, lower emissions, improved safety and the development of sustainable and low-carbon production processes and materials. This shift is being driven both by legislation and changing consumer preferences. Commercial success is likely to require an integrated set of developments from a range of different technology sectors. Time to rethink your IP? 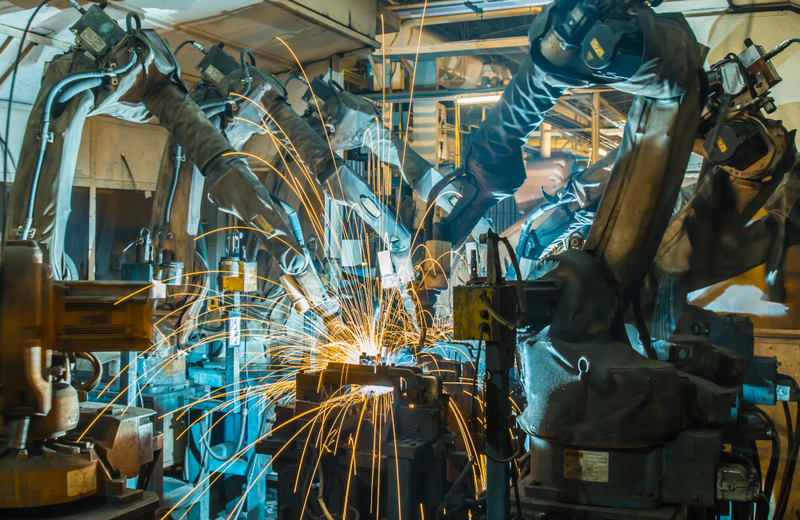 While the traditional automotive market has been dominated by a relatively small number of well-established companies, its shifting technical landscape has attracted many new players into the market from a range of different technical and commercial sectors. These new players have arrived with a raft of newly relevant patents and know-how, and may have very different IP strategies to the traditional players. This means that your IP considerations may need a rethink to adapt to this fast-changing environment. For instance, with the popularity of strategic partnerships across technology sectors increasing due to the different types of technologies which are now being combined into vehicles, assessing your existing patent portfolio and how future IP is to be generated (and its value apportioned) in such strategic partnerships will be critical to a successful commercial strategy. You can find out more about our expertise in materials with our dedicated sector webpage. 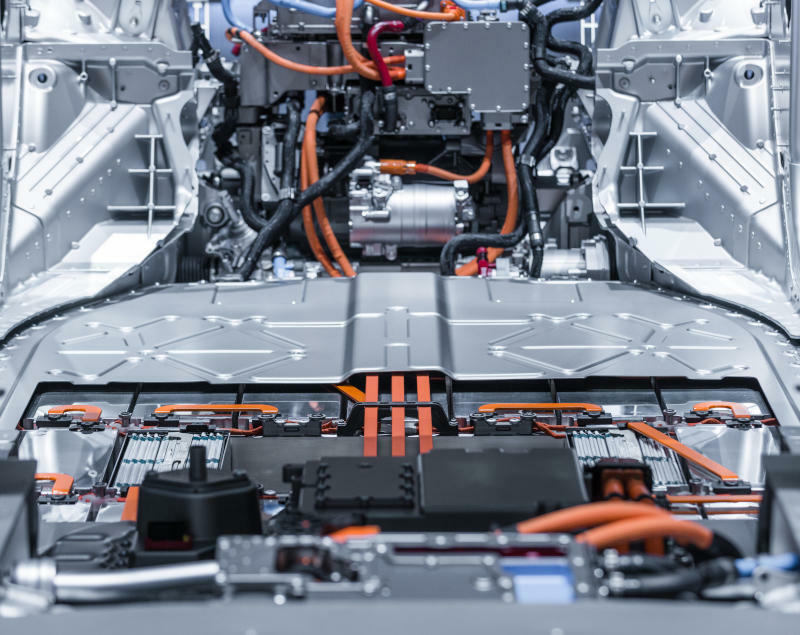 A breakthrough in battery technology is needed for electric vehicles to be widely adopted. Is our infrastructure ready for the future of transport? Electric and autonomous vehicles will soon become mainstream, but is our infrastructure ready? 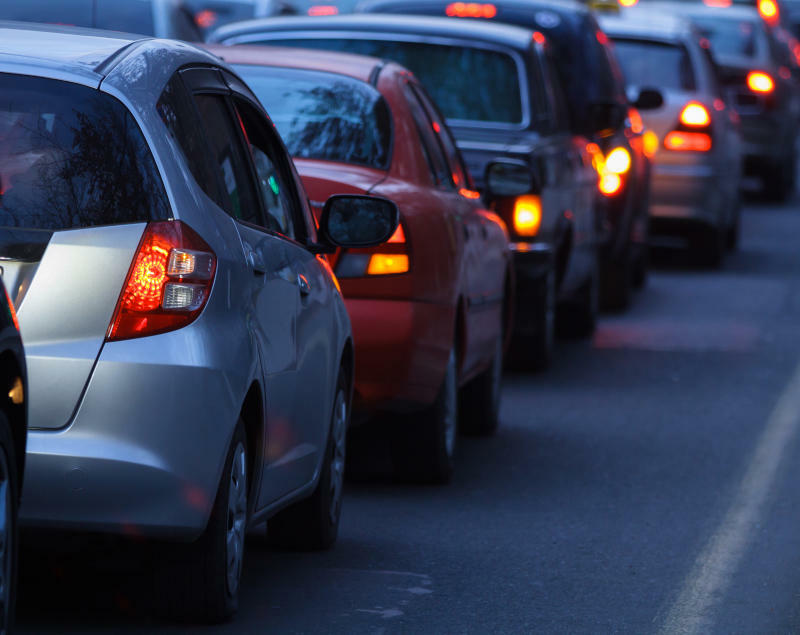 How we can reduce carbon emissions from road transport in the UK?